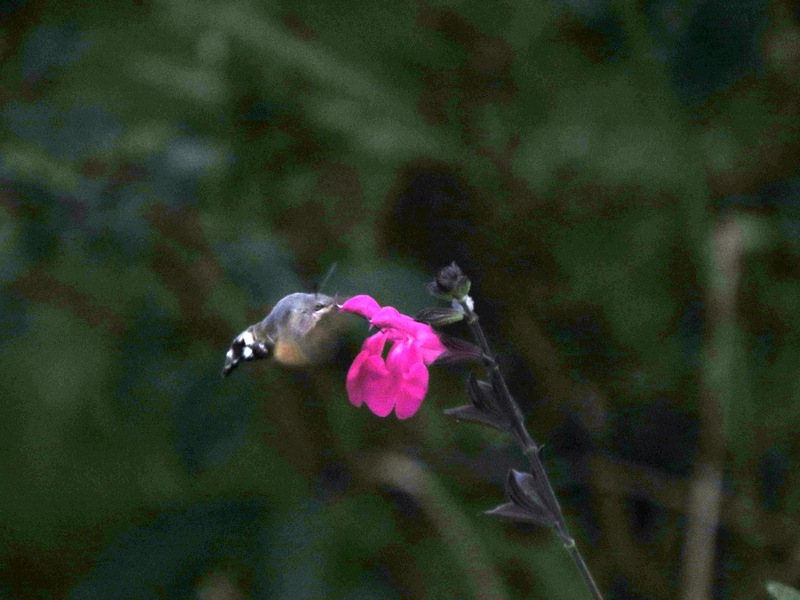 My first Hummingbird Hawkmoth of the season in the garden this evening. It seemed to favour this Salvia called " lipstick". It was in the garden at Norchard, Worcs around 6.30 pm whizzing about.